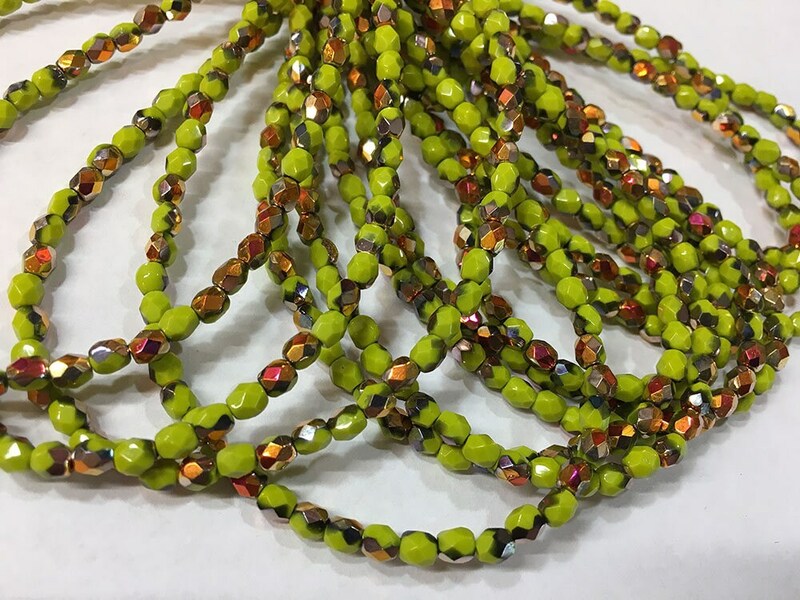 One strand of 50 avocado with copper metallic Czech firepolish crystal beads measuring 4mm. Add some sparkle to your jewelry creations! I love these beads. They made up into a wonderful bracelet.